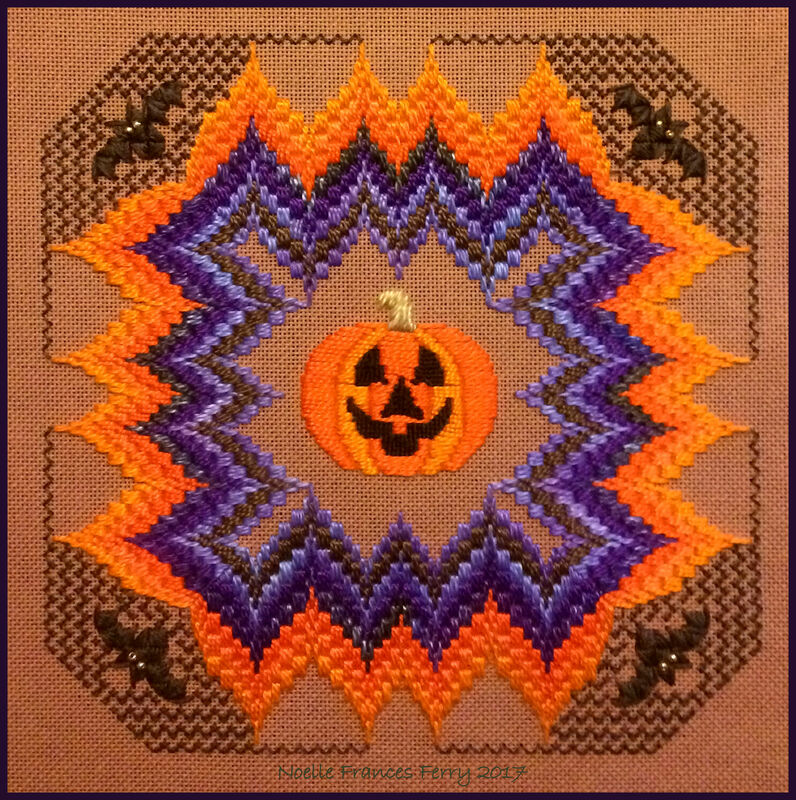 My 2017 Halloween worked design is based on Laura Perin’s Halloween Bargello. Fabric used: Zweigart, 24 count Congress, 100% cotton, Powdered Spice. 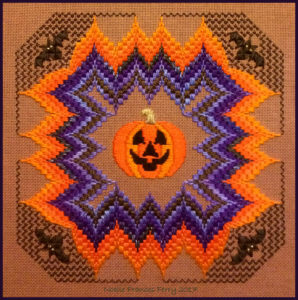 Approximate finished worked area is 7.5 inches square.